Nearly 40 Wharton MBA students spent part of their spring break in Beijing this year. They joined local MBA students from Peking University’s Guanghua School of Management for a three-day Global Modular Course on “Marketing in Emerging Economies: Understanding and Marketing to the Chinese Consumer.” The class split their time between Penn Wharton China Center, Peking University, and field visits to visit local companies. Led by John Zhang, the Tsai Wan-Tsai Professor of Marketing at the Wharton School, the course is designed to help students gain insight into the common characteristics of Chinese consumers, the pricing environment, the investment market, and entrepreneurship in China so that they can devise better marketing strategies for the Chinese market. 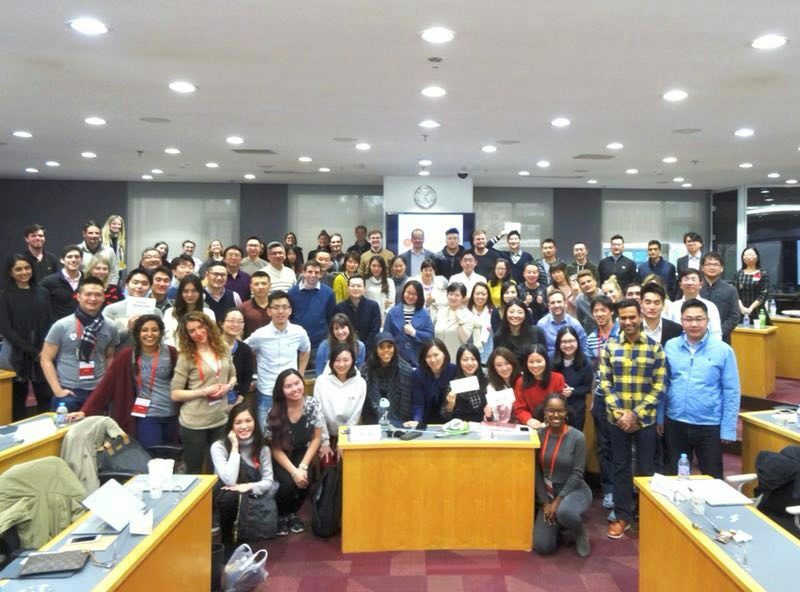 With an emphasis on market knowledge, technical innovations, and thought leadership in Chinese business, the course was taught jointly by professors from the Wharton School and Guanghua School of Management. A number of entrepreneurs and industry experts from leading Chinese companies also came to the classroom to share real business scenarios and practices. On March 7 the group attended a seminar on value in retail consumption with Yu Gang, GRW’90, Co-founder and Chairman of New Peak Group, and Yan Xuan, President of Greater China for Nielsen. “Localization is the key to marketing, because your customers are local,” said Prof. Zheng Yuhuang, associate professor of marketing at Tsinghua University. A prominent pricing scholar and expert, Zhang addressed the students on marketing knowledge. The students also took a field trip to Xiaomi, a local tech giant, to better understand the company’s strategies, products, users, sales channels, and pricing. Blending classroom concepts with international immersion, this global modular course also exposes students to new experiences and opportunities for cross-cultural learning. The intensive workshop format encourages team- and project based learning, which enabled Wharton students to develop closer bonds with their peers from the Guanghua School of Management. Conducting a field study of the Chinese retailing market, they exchanged their views freely in open dialogue and worked closely to complete business case reports – learning more about the market and each other in the process. 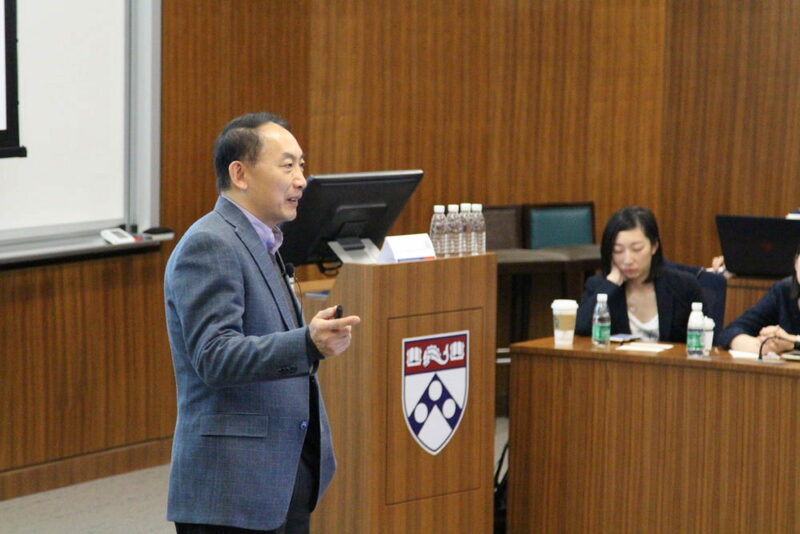 Nearly 40 Wharton MBA students joined local MBA students from Peking University’s Guanghua School of Management for a three-day Global Modular Course on “Marketing in Emerging Economies: Understanding and Marketing to the Chinese Consumer” at Penn Wharton China Center. With various international, cultural, and business backgrounds, the class of 80 students actively raised questions and voiced their views to share their understanding and hands-on experience with each other. After several days of immersive learning with knowledge sharing from professors and industry leaders, all of the participants seemed to agree that this joint program far exceeded their expectations. “With the increasing significance of marketing and strategy across borders, it is wonderful to see the engagement of our students and those of the Guanghua School jointly exploring the unique opportunities of addressing the preferences of Chinese consumers,” said Prof. Harbir Singh, Vice Dean of Global Initiatives and Wharton Professor of Management. This story includes some material adapted from a story by Peking University that originally appeared on their WeChat account. “Marketing in Emerging Economies: Understanding and Marketing to the Chinese Consumer” is designed to teach students how consumers, products, pricing and positioning differ in China, and how population growth and fresh investments are affecting the marketing strategy. It is one of eight to 13 Global Modular Courses offered each year in Brazil, China, India, Israel, Italy, South Africa, and the United Kingdom. First piloted in January 2010, these global learning opportunities involve participation from students in the MBA Program for Executives, the full-time MBA program, and select undergraduates. Each three- to seven-day course allows students to explore the opportunities and challenges of various business environments in the global marketplace. In all, about 400 Wharton students and more than 100 students from partner universities participated in 12 GMCs this past academic year.